Previously I have already talked about how to get rid of stretch marks using natural remedies, this time I’m going to guide you through the best essential oils for stretch marks you can use and some extra tips to help you minimize their future appearance. Stretch marks can be unsightly and cause upset and even depression. It can be very traumatic to have skin that is covered in streaks and marks, especially when you want to wear something a little daring for once, or even just to go for a swim. Human skin is very supple and elastic, and it should be able to shrink and expand to cope with increases and the decreases in body size and weight. But the problem is that extreme increases followed by decreases, through pregnancy or rapid weight loss for example, can mean the skin cannot react quickly enough. 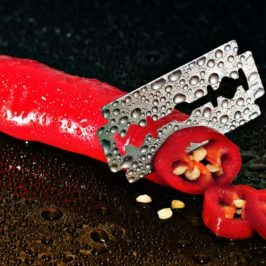 Unfortunately this creates stress lines in the skin which can last a lifetime. But the great news is that they can be minimized and concealed if you know how to treat them. You can use essential oils for stretch marks to help to minimize the effect they have on you visually and emotionally. If you’re looking for a natural solution to stretch marks then using essential oils is a fantastically cheap and effective way to address the problem. In many ways there is no best oil for stretch marks, there are several that when used individually, or combined, can really help to start repair the damage. The reason that essential oils can help with this skin problem is that they have anti-inflammatory and antiseptic properties which can soothe the damaged skin. 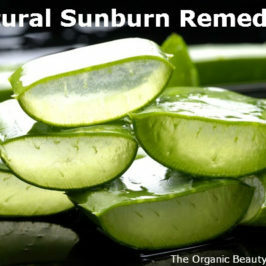 On top of that, they introduce moisture which can smooth the skin. They even have ingredients which can actively help to minimize scarring, through fighting against the body’s natural production of collagen, which is produced when the skin is freshly traumatized, often being overproduced and leading to bumpy skin. There are dozens of essential oils that you can use to lessen your stretch marks and benefit the skin. We can’t go through them all here, because the list would be huge. The great news is however that we have compiled a special list of 10 of the most effective essential oils that are brilliant for fighting stretch marks, and which are readily available and safe to use. This is found in many commercial skincare products and has been used for centuries for many skin problems including stretch marks. This essential oil is extracted from Orange Blossom and combines a sweet scent with rejuvenating characteristics. Helichrysum is a wonderful essential oil that has a fruity aroma and contains strong anti-inflammatory properties. With its earthy smell and characteristics, sage oil can be great for healing stretch marks, and has been proven safe for pregnant women, which is unusual amongst essential oils. If it was good enough for the Bible then it’s good enough for your skin. It’s also evidence it’s been seen for thousands of years as a valuable essential oil to nourish human skin. This is another essential oil that has been used throughout man’s history on the skin, because of its regenerative properties. 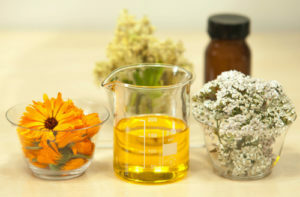 A floral oil, it is found in many beauty products due to its fragrance and nourishing ability. In common with a lot of essential oils, Myrrh has proven astringent capabilities, which basically means that it is highly beneficial to the skin and can help it remain in peak condition. Widely used on dry skin and scarring, it can really help with increasing the skin’s elasticity, and is highly nourishing. This is a highly refreshing essential oil that is widely used on the skin to increase hydration and elasticity. 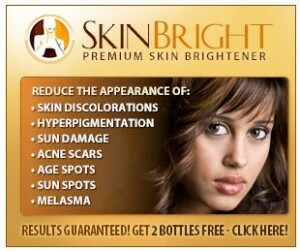 Some people use it twice a day to address skin imperfections including stretch marks. Although it’s quick and easy to rub essential oil into your skin to address the unsightliness, you can mix different natural ingredients together to form soothing recipes that will not only address your skin issues more strongly, but can also help to enhance the abilities of each individual essential oil. There are hundreds of recipes you can use, so let’s give you a couple of example ones that are widely used. Put all of the ingredients together into a bowl that has just been gently microwaved to make it warm. Stir it slowly with a wooden spoon to mix it together into a luxurious warm mix. Then simply apply the mixture liberally on the stretch marks and allow to sink in. If you have any excess, put it in a little jar and reuse it. Drop the various ingredients into a freshly warmed bowl and mix together gently with a wooden spoon. Liberally apply to the skin and allow to sink in. As well as using individual essential oils, you can also mix in additional natural ingredients which will further enhance their power and your chances of positively minimizing the marks you have. Vitamin E is essential to the skin for it to be elastic and healthy. It can help to prevent stretch marks in the first place, and can aid the skin in minimizing the increase of the ones you already have. So you can add vitamin E to any essential oil to increase its benefits. It’s important to say here that you should not take a vitamin E orally if you are pregnant. On top of that, you should always check with a doctor before using any essential oil, especially in your first trimester. This is a special oil that is a bit like coconut oil in that it is packed full of nutrients, vitamins and antioxidants that can all help the skin. It can be a dynamite when added to another essential oil. If you are prone to stretch marks, then rosehip oil can be something you can use as a prevention measure. So there you have it, quick and easy ways you can use essential oils for stretch marks. There is no single best oil for stretch marks, but many that can be brilliant, and when mixed together they can be fantastic at addressing the issue. The only warning about using these oils is that they can be detrimental to pregnant women, so you should never use them unless you have had advice professionally first. Some essential oils require dilution with what is known as a carrier oil, because of the high concentration. If you buy them from a proper outlet, or pre-mixed online, this is not a problem, but if you are buying pure essential oil, you should use a carrier oil such as sesame oil. 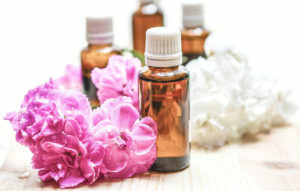 But generally, if you are suffering from stretch marks and you want to try and minimize their appearance, and keep your skin in great condition to prevent the appearance of future stretch marks then you should give essential oils a try as they can be fantastic at healing and preventative action. They are cheap, easy to obtain, easy to apply and if stored correctly can last forever. So there really is no convincing reason not to give them a try today..
© 2019 The Organic Beauty Expert Important Disclaimer: TheOrganicBeautyExpert.com is intended for informational and educational purposes only. Always consult your doctor before attempting any treatment on your own.